They say a little goes a long way and AmericanMuscle customer Austin’s 2006 GT demonstrates just that. 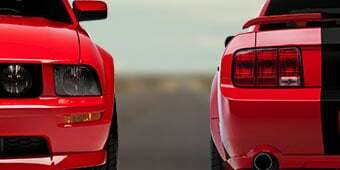 At more than a decade old, this Mustang GT certainly remains true to its roots. Austin was going for a classic look, so he opted for a CDC chin spoiler, quarter window louvers and billet winglets. For an even more distinct exterior, Austin added a carbon fiber hood, Roush Trak Pak wheels and a set of halo smoked headlights. He also installed an axle-back exhaust, cold air intake and coil over system for overall performance enhancement. 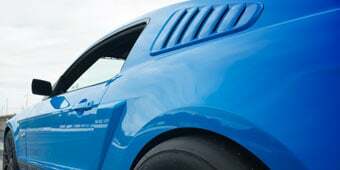 Check out some of the stand out mods below and see the full collection at AmericanMuscle.com/SilverScreen. When deciding on an exhaust upgrade, Austin went for the Pypes Violator Axle-Back due to its unique styling and sound profile. 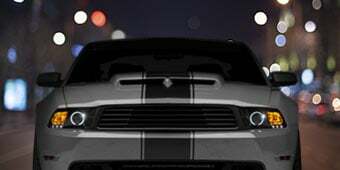 With a strong stainless steel construction, this system incorporates a pair of 4-inch rolled, slash cut tips that exit in the stock locations for an aggressive muscle car look. The two high-flow “rude sound” Violator mufflers yield an instant 5 to 10 horsepower and utilize an internal louvered tubing with mini sound deflectors. The result is an unmatched, ultra-aggressive sound that’ll have everyone hearing Austin and his GT long before they see him. 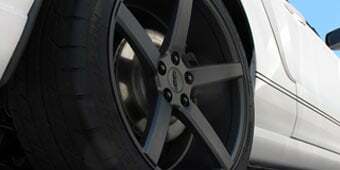 Austin chose to improve his GT’s traction and handling with a set of Pedders Extreme Coil Overs. Not only do these coil overs lower his GT’s center of gravity, but they also reduce body roll for superior control and flatter cornering. Pedders designed this XA kit to be height adjustable from 1-inch to 3-inches and offers the ability to lower all four corners for a flat leveled appearance or raise the rear slightly for that classic raked stance. With 30-position adjustability for compression and rebound, this 2006 GT’s suspension can be dialed in perfectly for grueling track days and daily street driving alike. 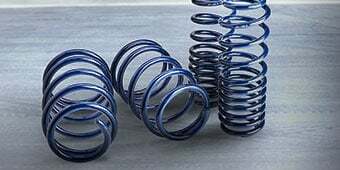 With the ability to increase the stiffness of these alloy steel coil overs, Austin will always be track-ready at a moment’s notice and can readjust them for a softer, more comfortable cruise home. 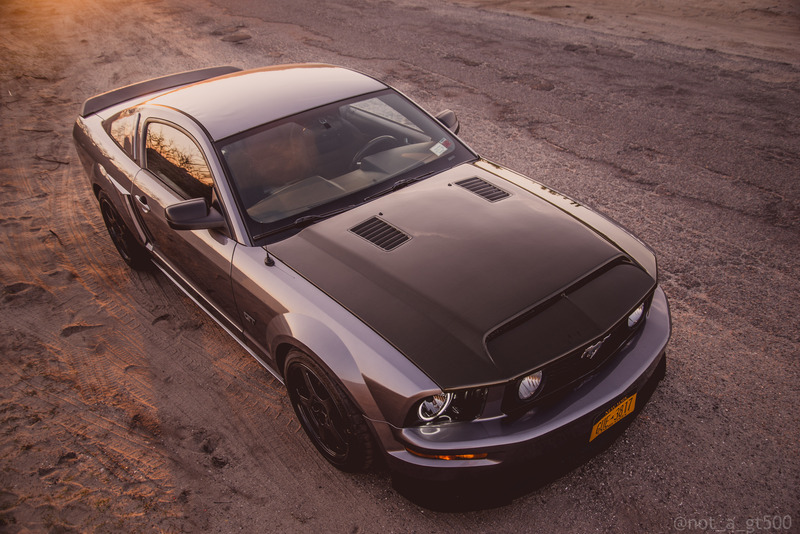 Austin sought out the classic styling of the late 60s Mustang and added a set of MMD Side Scoops to his 2006 GT. They came pre-painted right from AM headquarters to match his factory silver paint job perfectly. Not only do these lower side scoops look great, they’re manufactured from injection-molded ABS plastic for its light weight and superior durability. Since the MMD side scoops are a direct fit, installation was clean and simple with no drilling required. All Austin had to do was clean the area thoroughly and utilize the supplied 3M bonding tape. 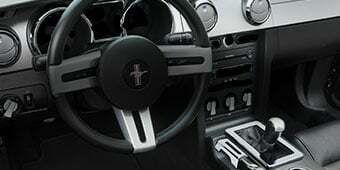 Although this mod may seem minimal, it surely adds a lot to the overall styling of Austin’s GT Mustang. 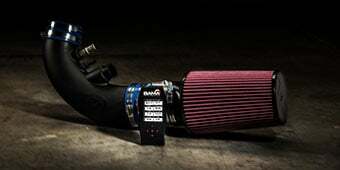 To ensure his Mustang runs smoothly with his new cold air intake, Austin went on to install a JLT V3.0 Oil Separator. 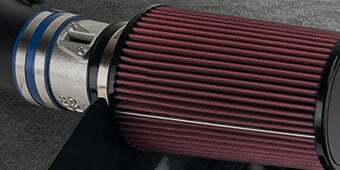 Made from solid billet aluminum, this separator works to eliminate sludge build up in the engine and intake. Featuring a large 3-ounce capacity, this air/oil separator will trap fine oil vapors to improve engine performance and longevity via its 1/2” thick, 1/16” aluminum honeycomb filter media. 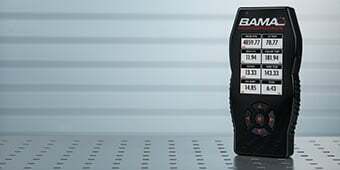 By getting rid of gunk that can accumulate on his GT’s internal engine components, Austin is simultaneously reducing premature wear on his 4.6L 3V engine.